Call Coastal Rooter for any commercial plumbing emergency that arises. Unexpected plumbing damages can wreak havoc on your business and client relationships when productivity is impaired. You can rely on Coastal Rooter to arrive promptly to diagnose and solve your plumbing problems so that you can get your business back up and running smoothly. Do you feel like your plumbing system isn’t quite running up to par? Call us and we’ll come do a plumbing camera inspection, and if our professional technicians find a problem they’ll diagnose the issue, give you a quote, and be ready to fix it immediately. If we make any repairs for you, we will also offer a free camera inspection to check for other possible plumbing issues in your business. 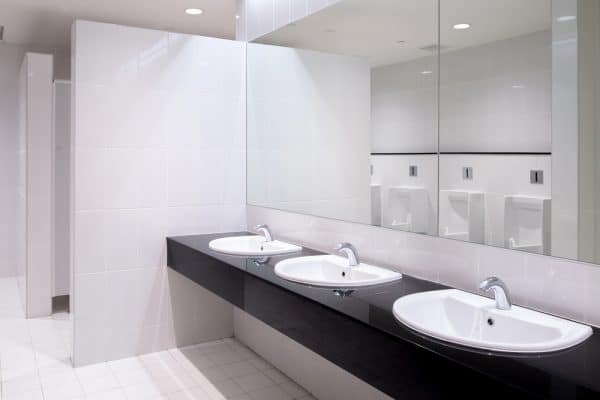 Wear and tear in your commercial bathrooms is inevitable when employee’s and customer’s alike use them somewhat carelessly. Give Coastal Rooter a call and we will install a brand new toilet or sink in your business to show your customer’s how much you care about them and the importance sanitation has to your business. Regular plumbing system maintenance and cleaning can protect your business and your wallet by avoiding severe damages that can impede your business operations and delay your customer service. Keep your customer relations’ strong and schedule a routine maintenance and cleaning for your plumbing system today. While plumbing emergencies cannot always be averted – especially burst pipes and leaks that cause a mess – can hurt your public image and lose business opportunities. Call us immediately at (760) 235-4088 and we’ll send our quick-response team of technicians to fix your plumbing disaster immediately to keep you from losing thousands of dollars in water bills, property damage, and lost business.